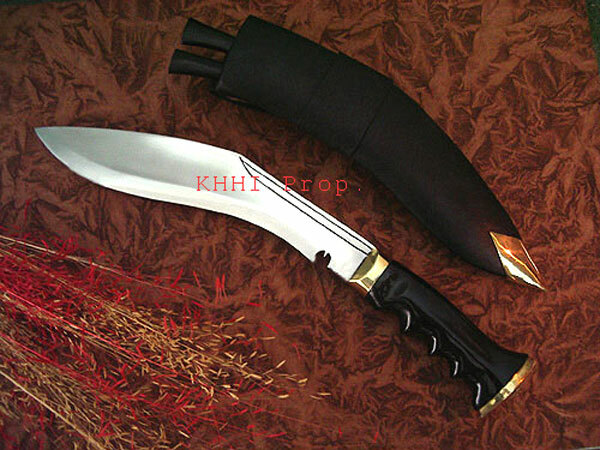 A modern day improved khukuri; many of the late arrivals of KHHI created to better perform and better serve its master.. 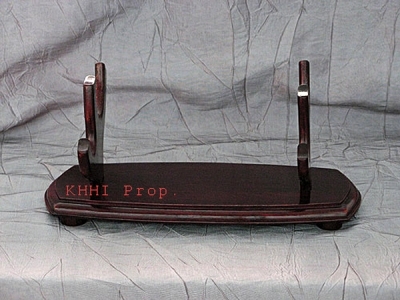 It is a modern day improved khukuri; many of the late arrivals of KHHI created to better perform and better serve its master. The regular traditional handle is altered into a knuckle-shaped handle (as depicted in the picture) that allows each finger to stay at the curvature firmly and hence the user can hold the blade comfortably and strongly and thus can perform a job more swiftly and safely. This unique and effective feature of the handle of this kukri actually makes it THE knife to work with. “Panja” in Nepalese means “Palm” and since the knife is targeted to provide sturdy yet comfortable grip to the palm, the khukuri is named so. 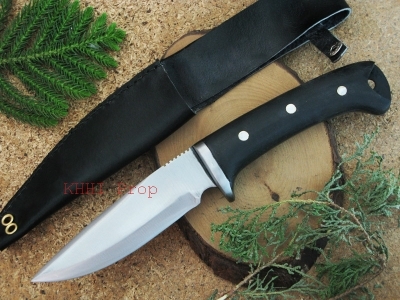 Its a standard version with the blade measuring about 10 inch long and the blade is polished for better look. 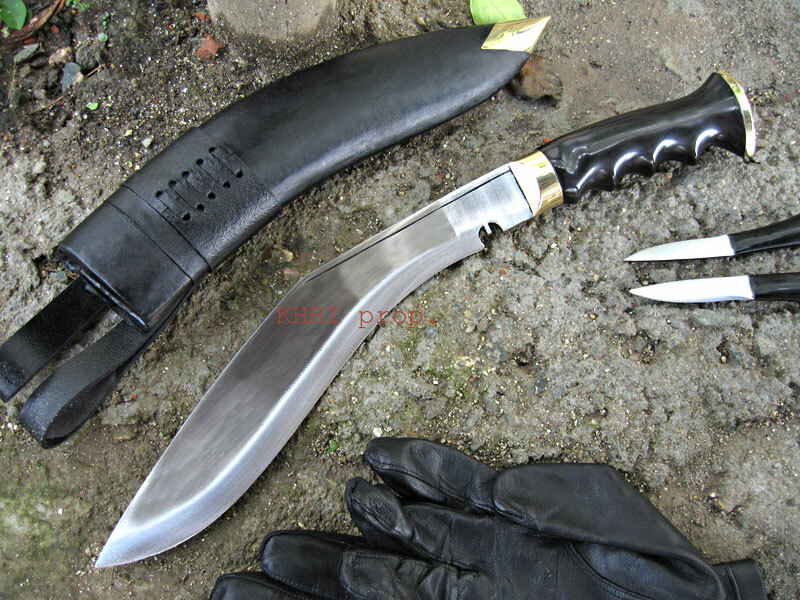 It is not a military issue but some soldiers prefer to carry it as their training kukri because of its effective size and solid-grip providing handle. Panjawal (Gripper) kukri, an important and unique kukri designed to deliver perfect grip, ideal balance and better feel would probably be ‘the’ knife to carry in your next trekking or hunting or any outdoor-wild tour. Panjawal, one of late additions of KHHI designated for those who seek for a real cutting khukuri knife. I just want to let you know that my order arrived safe and sound last week. I have been caring for my elderly Grandmother every day, so I have not had much time to admire the knives, but at first impression every piece is beautiful! I will do my best to give an honest review as soon as I have time to work with them. Thank you all so very much! And so far, give a special thank you to the Kamis, Arjun Baraily. The panjawal gripper and related accesories was a birthday gift for my wife. She says this khukuri is the most perfect knife she has ever owned. She admires it often and proudly displays it on the verticle stand in her workspace. You all are awesome. Will talk more soon, and will definitely order again in time.